Brighton Beach is a New York neighborhood with a lot of character located on the Atlantic coast. It was the place where emigrants from the former USSR moved, mostly Russian-speaking Ukrainians, Belarusians, and Russians. This place is also called 'Little Odessa' in honor of the city in southern Ukraine. // A Ukrainian playing poker on the beach. Brighton Beach, New York. June 16, 2012. This neighborhood became popular in the 1970s. Brighton Beach was the place where emigrants from the former USSR moved, mostly Russian-speaking Ukrainians, Belarusians, and Russians. // Women at “Back to USSR” restaurant. Brighton Beach, New York. January 27, 2013. 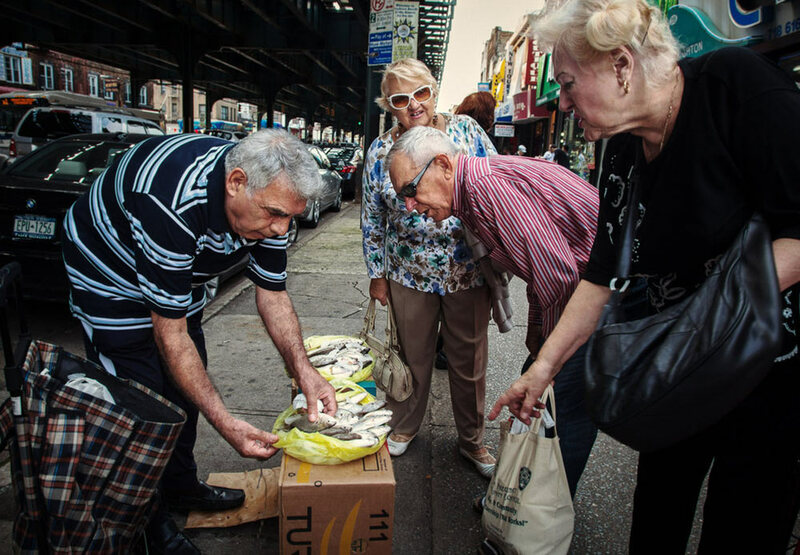 Ukrainian photographer Yulia Bazar captured Brighton Beach's streets and named the series "Little Odessa" // Playing cards, often for money, has become a usual routine among male immigrants. Brighton Beach, New York. July 30, 2012. 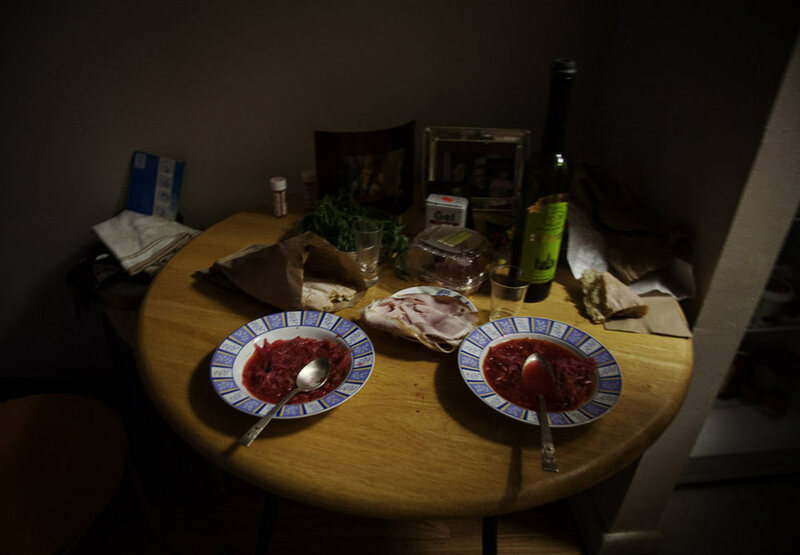 Traditional borsch dinner in Brighton Beach, New York. October 6, 2012. Women walking into the sea during an Epiphany ceremony in Brighton Beach, New York. January 19, 2013.